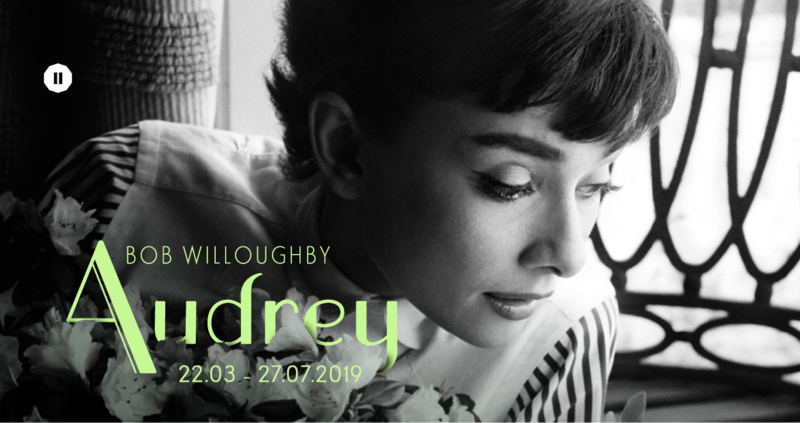 2019 marks the 90th anniversary of Audrey Hepburn’s birth and the 10th anniversary of the passing of renowned photographer Bob Willoughby. This is the first time such a comprehensive collection of Bob’s most memorable photos of Audrey is shown in Hong Kong. The 90 photographs – one for each year since Audrey’s birth – have been carefully curated by Douglas So, Founder and Director of F11 Foto Museum, with the help of Bob’s son, Christopher. They cover the 1950s and ’60s period when she was at the peak of her fame. The photographs include stills from Audrey’s best-known movies, among them rare candid shots captured behind the screen which highlight her different roles as actress, style icon and mother. <Audrey by Bob Willoughby>, edited by Douglas So, is published to complement the exhibition. Available for sale at F11 Foto Museum and f22 foto space. Readers and book dealers who may wish to order may email to info@f11.com, or call 6516 1122 for enquiries. The exhibition is open for public viewing from 2pm to 7pm, Tuesdays to Saturdays (closed on Sundays, Mondays and public holidays). Please email to info@f11.com, or call 6516 1122 for group visit appointment. Admission Fee: HKD100 for adults. HKD50 for students and seniors aged 65 or above. Free admission for the disabled and children aged 11 or below.